Below: the forward by UNICEF Executive Director Anthony Lake from Thirsting for a Future: Water and Children in a changing climate. Read the full UNICEF report. Water is elemental. Without it, nothing can grow. And without safe water, children may not survive. 600 million children — 1 in 4 children worldwide — will be living in areas with extremely limited water resources by 2040. 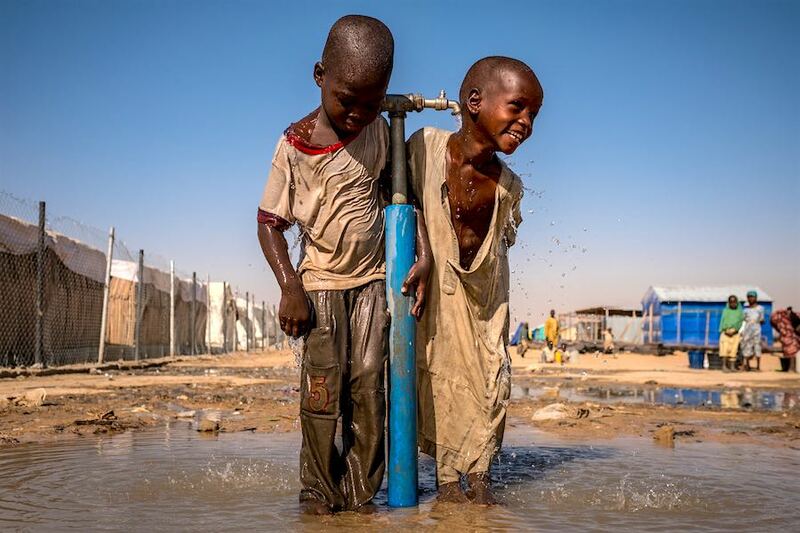 The poorest children will be most affected as climate change worsens an ongoing water crisis. Children without access to safe water are more likely to die in infancy -- and throughout childhood -- from diseases caused by water-borne bacteria, to which their small bodies are more vulnerable. When these diseases don’t kill outright, they can contribute to the stunting of children’s bodies and minds – and the blighting of their futures -- by undermining their ability to absorb nutrients. When a community’s water supply dries up or becomes contaminated -- because of drought, because of flooding, because of conflicts that undermine infrastructure and prevent people from reaching safe water sources -- such diseases abound. In Ethiopia, Sulem, 9, walks to her home, four kilometers away, with a jerry can of water. Thirst itself kills children and jeopardizes their futures. And beyond health, a lack of safe water and sanitation exposes children to other threats to their wellbeing. Many children in drought-affected areas spend hours every day collecting water, missing out on a chance to go to school. Girls are especially vulnerable to attack during these times. The effects of climate change intensify all these risks by reducing the quantity and quality of water. Rising temperatures help bacteria and other pathogens to flourish. Rising sea levels salinate freshwater sources. Increased flooding washes away sanitation systems and contaminates drinking water supplies, bringing cholera and other killer diseases. Disappearing glaciers leave land dry and arid. 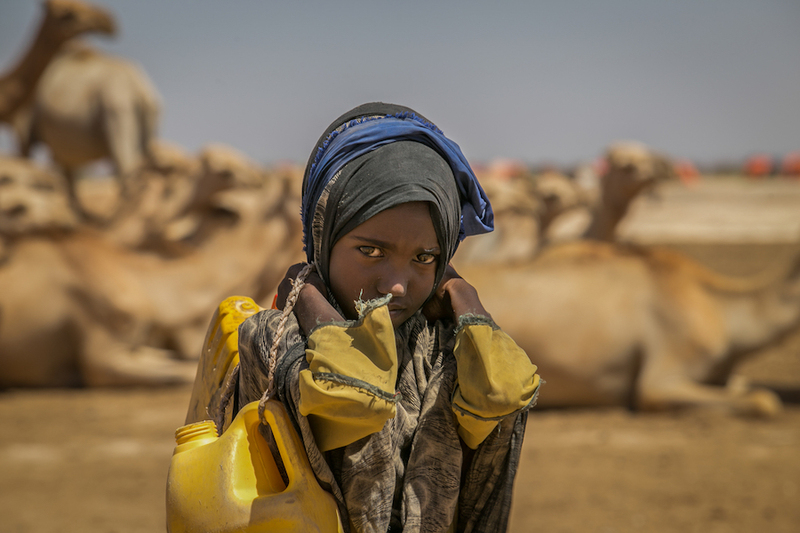 We see the terrible effects of water scarcity today all over the world -- and nowhere more tragically than in parts of Ethiopia, Nigeria, Somalia, South Sudan and Yemen, where drought conditions and conflict are producing deadly effects. In Ethiopia alone, we anticipate that more than 9 million people will be without safe drinking water in 2017. Nearly 1.4 million children face imminent risk of death from severe acute malnutrition as famine grows in these areas. As industrialization and demographic shifts increase consumption needs, demand for water will continue to rise – while supplies diminish. By 2040, 1 in 4 children -- 600 million children -- will live in areas of extremely high water stress. It should come as no surprise that the poorest, most disadvantaged children will suffer the most. But this crisis is not inevitable. Children play under a water tap at a UNICEF-supported primary school at a camp for the displaced in Maiduguri, Nigeria. Governments need to start planning for changes in water availability and demand in the coming years. Climate risks should be integrated into all water and sanitation-related policies and services, and investments should be made to target high-risk populations. Businesses also play a role – supporting communities in preventing contamination and depletion of safe water sources. Communities themselves should explore ways to diversify water sources and to increase their capacity to store water safely. Most important, children’s access to safe water for drinking should be made a priority. In a changing climate, we must change the way we work to reach those who are most vulnerable. One of the most effective ways we can do that is safeguarding their access to safe water. It’s elemental. Read the full UNICEF report: Thirsting for a Future: Water and Children in a changing climate.